Lang Lang, a 4-year-old giant panda died of epilepsy at the Nanjing Hongshan Forest Zoo in east China’s Jiangsu Province. Lang Lang, who was among the eight “Olympic pandas” on display in Beijing in 2008, fell ill on November 9, said a spokesman of the zoo. He suffered seizure and was diagnosed with epilepsy. His condition was stable after treatment and he began drinking and eating as normal on November 16. 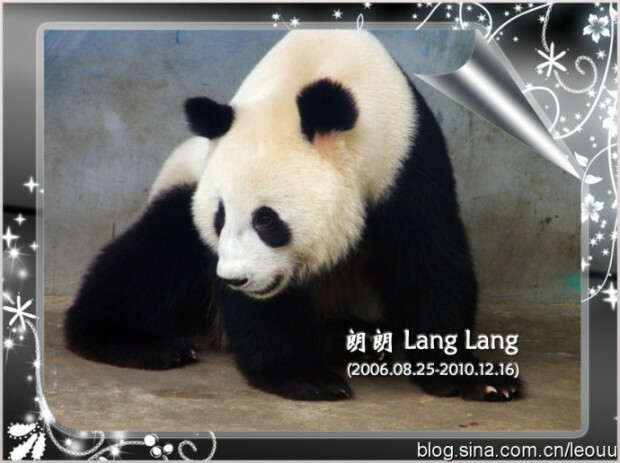 However, the panda suffered another seizure on December 1 and was in a coma for more than two weeks until he died on December 16, 2010. 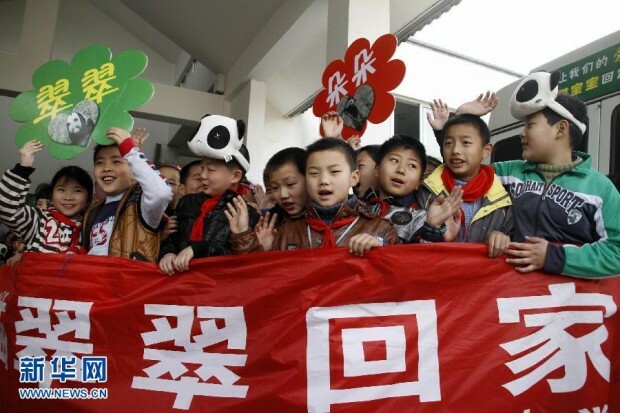 CCRCGP director Zhang Hemin said epilepsy could be common among elderly pandas. Two pandas died of the disease in Wuhan, central China’s Hubei Province, in 1989 and 1995 respectively, but both were over 20 years old. “The disease could be hereditary when found in a young panda like Lang Lang,” said Zhang. The Nanjing Hongshan Forest Zoo has put their other 2 pandas, Cui Cui (Lang Lang’s twin sister) and Duo Duo, under 24-hour observation though they appear perfectly healthy. The panda trio were loaned from CCRCGP under a two-year contract from April 2009. Click here for more pictures of Lang Lang. Photos by Leo uu.